When I was out walking Hadley yesterday I looked at some of the empty street planters that are all over the upper east side of the city. Around the holiday season they're filled with evergreen shrubs and tree cuttings but since January they've just been bare and frequently filled with snow. But they weren't bare yesterday. When I looked closely I spotted some tiny buds just beginning to poke out of the earth. And I know what they'll become very soon - tulips! A riot of tulip colors all over the city shouting welcome spring. I think this calls for a cocktail. I like the fruity mellowness that wine brings to cocktails and particularly sparkling wine. The bit of bubble makes the drink seem lighter. Plus, there's more of it and that's always a good thing. Some citrus, some vodka, some sweet pineapple and a maraschino cherry, because I love them, and this play on a Flirtini was born. Now all that remains is to wait for those tulips. Cheers! 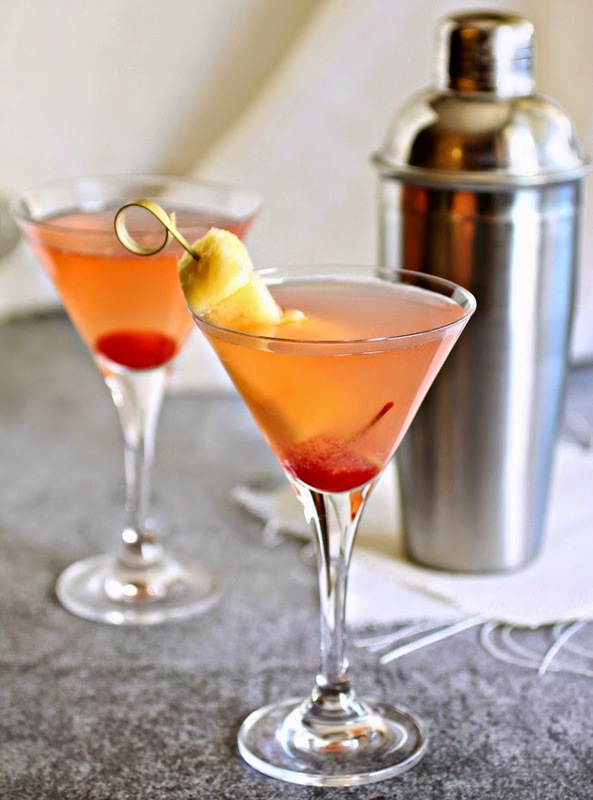 Combine the vodka, pineapple juice, triple sec, cranberry juice and lemon juice in a cocktail shaker. Fill with ice and shake well. Pour into a chilled cocktail glass and top with the sparkling wine. 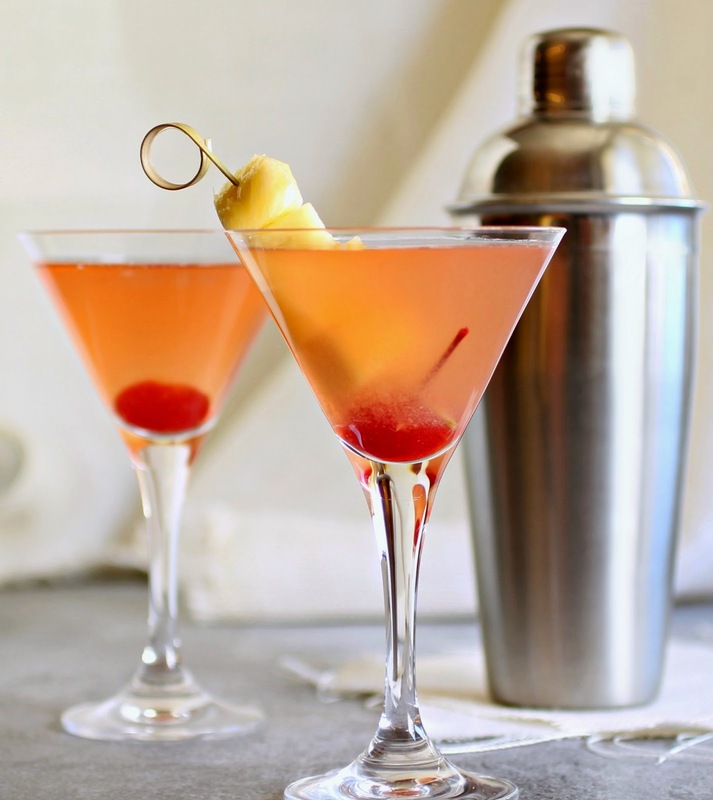 Garnish with a maraschino cherry and a slice of pineapple, if desired. Cheers to you Anita - pinned. You make the best cocktails!